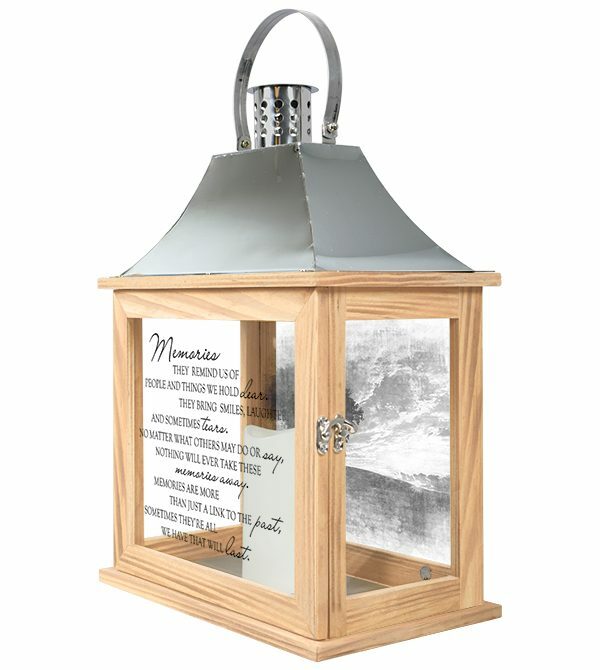 A Memory – This is an Extra large lantern measuring 18″ high, 12.5″wide and 7.5″ D. The inscription reads, “They remind us of people and friends we hold dear, they bring smiles, laughter and sometimes tears. No matter what others do or may say, Nothing can take these memories away.” Online ordering is for shipping to a family’s home. 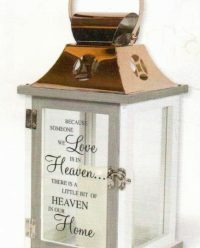 It is not to be used for delivery to a funeral home. 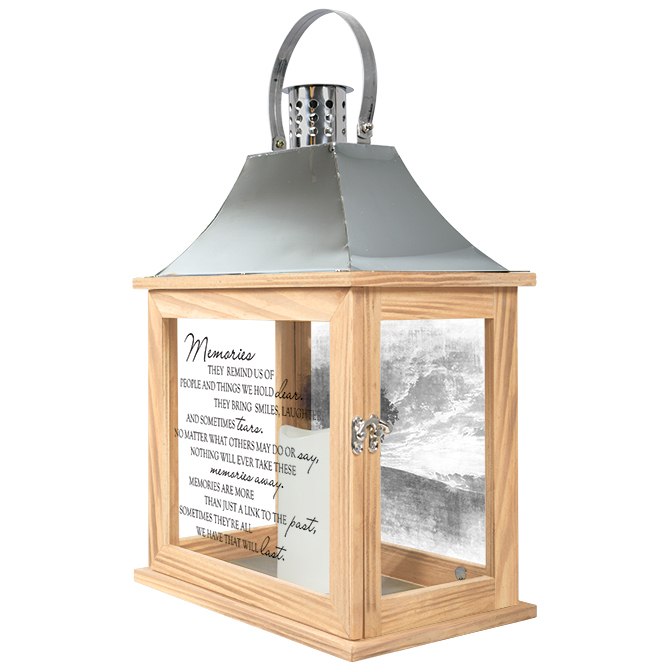 Our Memorial Lanterns are made from quality composite wood and a stainless steel finish top. They feature a built-in automatic timer which runs for 6 hours on and 18 hours off. Batteries are included. Please let us know in checkout where it says NOTES, how you would like your card to read so the recipient knows who it is from . For instance, With deepest sympathy, in memory of John, may his light shine on. Love, The Smith family.